Are you looking for a place to Sell Your Gold in Clear Lake? 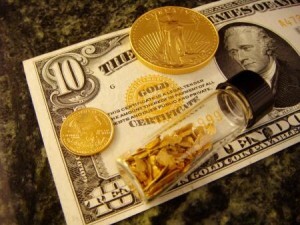 When you are looking to sell your gold, finding a good gold buyer can sometimes be a real chore. Why would you Sell Your Gold in Clear Lake for less money? Make a short drive to Houston Gold Buyers. We are just a short hop down I-45. Located at 1330 Westheimer Rd., 4 block west of Montrose Blvd. in the heart of Houston we have been Buying Gold from Clear Lake since 1997. We buy all types of gold. 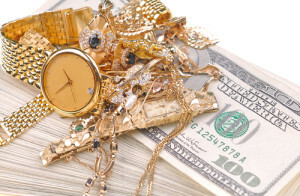 Whether you have broken gold jewelry, an old gold pocket watch or gold coins we will Buy Your Gold from Clear Lake. We pay top dollar for all gold items. I know, everyone says that right? Don’t take my word for it. Check out our google reviews. Let our customers tell you in their words why we are the #1 gold buyer in Houston and surrounding areas. Gold must be in a finished form. I.E. Gold Jewelry, Coins, Bars, Watches, Solder, Gold Stock, Wire, Gold Grain, Gold Tubing, and stamping. We DO NOT accept raw gold. If you know exactly what you have and the wait give us a call and we can give you a rough estimate on how much we will pay. This will be just that an estimate. When we buy gold there may be extenuating circumstances that change the value of your item. First there are some companies that are less than reputable and will stamp the wrong karat weight. You might not have the exact weight of your item. Another thing is if you have a ring it may have been sized and the jeweler could of used a lower karat weight of gold than what your item is made from. Don’t worry we can tell you exactly what you have. Using our state of the art thermo-spectrometer we can analyze your items in seconds and tell you the exact amount of gold in your pieces. We will calculate the weight of your items and make you an offer based on the current price of gold. Please note in most cases you will not have pure 24K gold items. Most gold jewelry in the U.S. is made in 14K gold which is 58.5% gold, 18K is 75% gold and 10K is 41.6% gold. Once we have determined what karat weight or weights you have and the weight of these items we will make our offer. If you choose to accept the offer you will be paid right there on the spot. No post dated check, no waiting for your money.